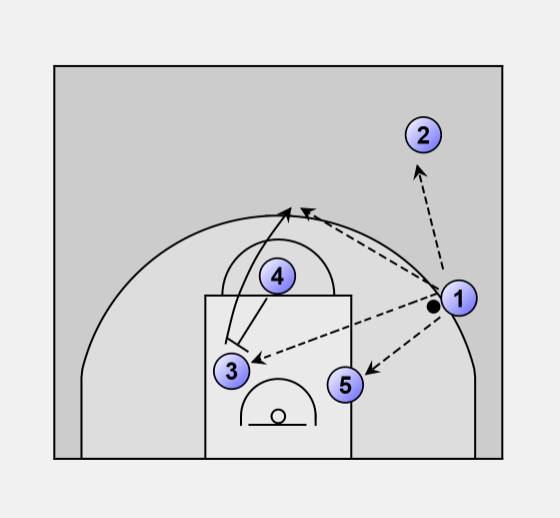 • Dribble entry 1 on high side. 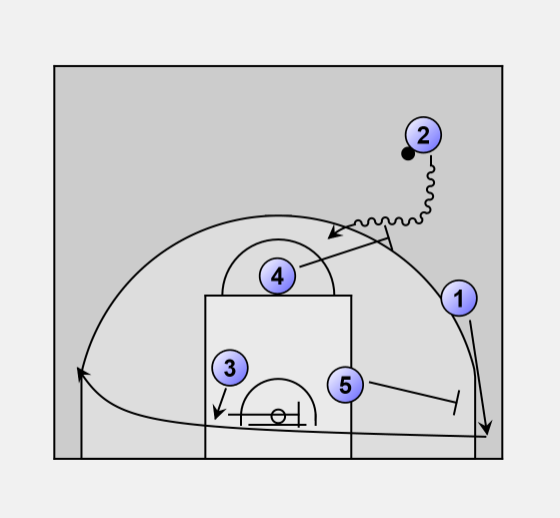 • 2 goes strong side low-post. 4 goes strong side elbow, 3 weak side elbow. 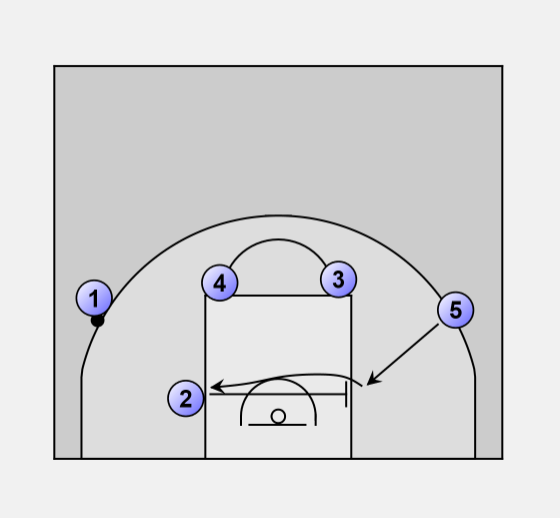 • 5 pops out weak side wing. • Screenaway 2 - 5. • Double screen 4 + 3 for 2. • 2 pops out on point for the shot. 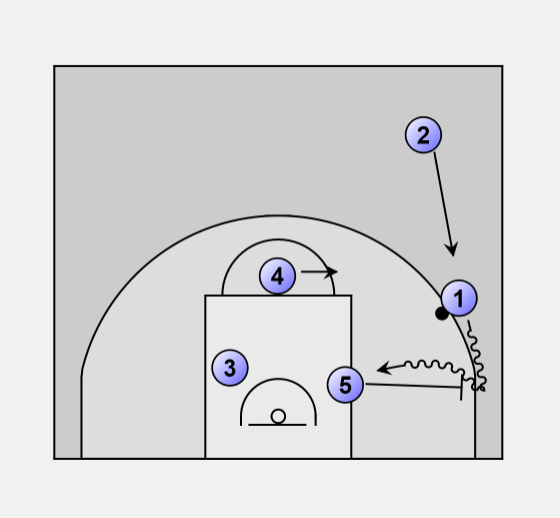 • 4 + 3 go down low. 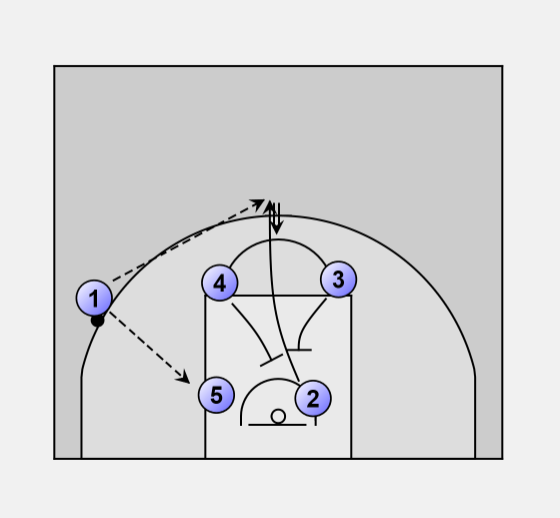 • Triple staggered picks 5 + 4 + 3 for 1 to switch sides and receive pass from 2. 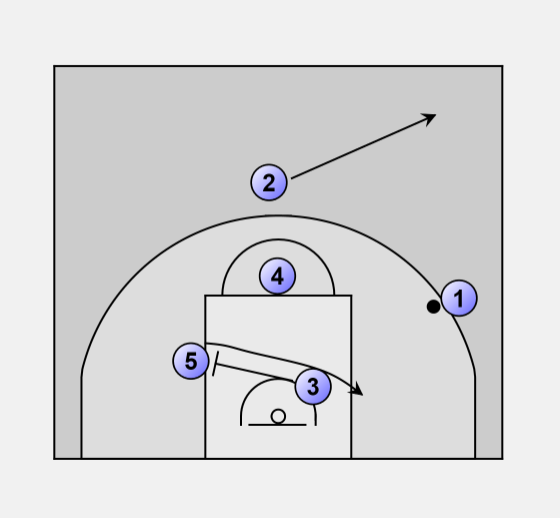 • 3 screen away for 5. • 2 space up and safety on strong side. 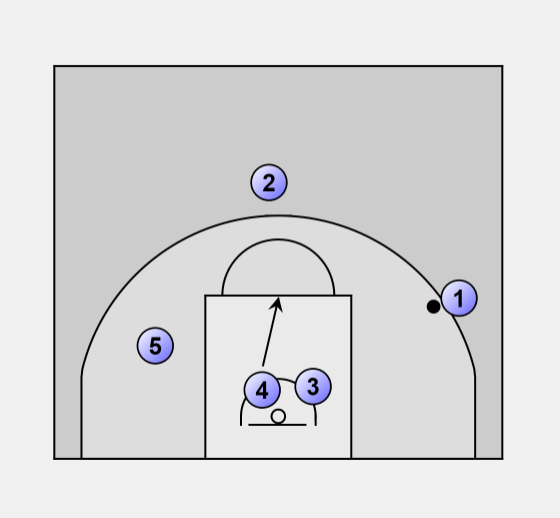 • 4 screen down for 3 to pop out FT-line or 3P-line. IF STILL NO EXECUTION PASS UP TO 2 AND SET UP FIST OR FIST DOWN LIKE FOLLOWING!!! • 4 set the screen higher as in usual fist. • Other rotation as usual. 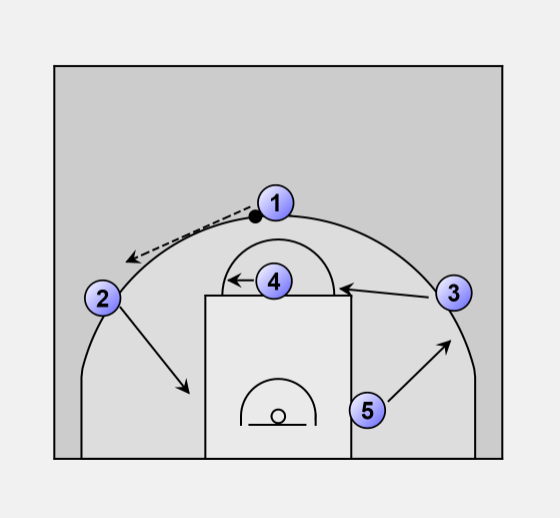 • 1 dribble down in corner and get the screen of 5.